When it comes to women, everything will boil down to the following things: fashion and use. Women know what looks attractive on them, but they also want to feel comfortable in their own shoes on the tennis grounds. A woman cannot have too many pairs of shoes, but it’s also true that it’s better to choose quality over quantity. 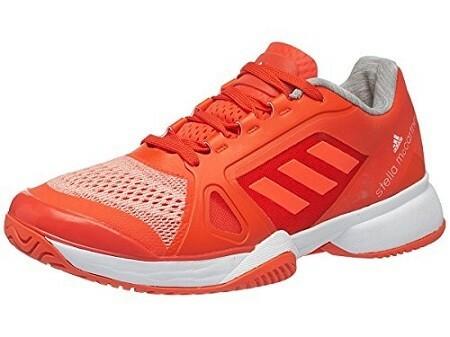 In this respect, we will review the ASMC Performance Barricade tennis shoes. We will see whether they can live up to our expectations or not. Also known as the “Performance” or the “Stella Barricade BOOST,” this model launched in 2017 was meant to last. 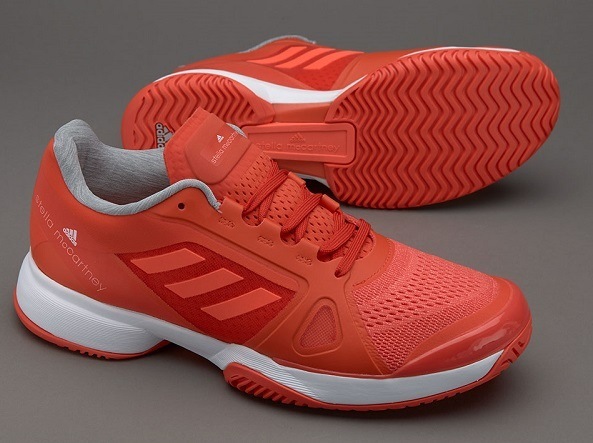 This pair is a blend of fashion and performance, with the purpose of boosting your abilities on the tennis grounds. With the BOOST ADIPRENE cushioning placed underneath the heels, you are promised responsiveness and an explosive energy return. 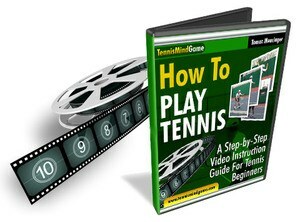 The cushioning on the sides will also ensure you will need no break-in time, so you can start playing tennis right away. 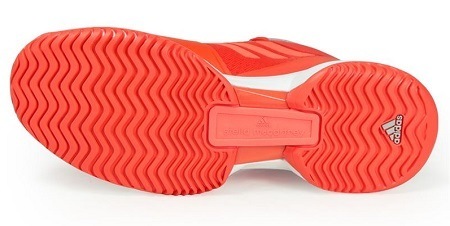 The soles of the shoe are made from durable rubber that features a herringbone pattern. This will ensure that you have good traction, which will furthermore lead towards secure footing and increased durability. For any lady interested in performance-level tennis, these shoes should definitely be considered. When it comes to comfort, the Barricade tennis shoes will definitely impress any woman trying them out. Thanks to their cushioning, even the most aggressive of players will appreciate their stability and support. It will offer a rebound effect that will literally make you feel as if you are flying. 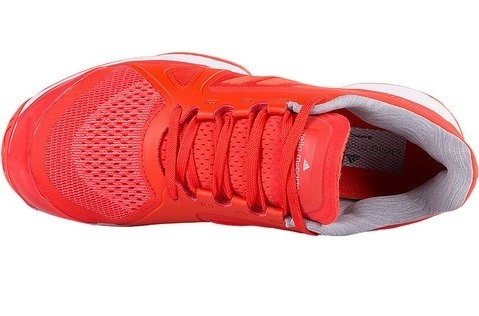 Considering the amount of cushioning that they have, these shoes are very lightweight. They are perfect for playing on grass courts since they will not leave any marks on the ground (the herringbone tread pattern will help with that). Plus, since they are not at all heavy, your feet will not tire anytime soon – at least not from the shoes. The break-in part is also something that we deeply appreciated – pretty much because it is nonexistent. The cushioning will hug the form of your foot smoothly, so you won’t have to go through the agonizing period of blisters (that every shoe seems to bring). When it comes to support, this year’s model beats the previous one in every aspect. It has a lot of cushioning that permits sudden lateral movement, and we no longer worry about rolling an ankle. Your feet will be secured in the shoe. Durability is also an issue of importance when it comes to shoes, and the Barricade has never disappointed in that aspect. The outsole will hold up fairly well, and while there may be scuffing after some time, it won’t be enough to cause any actual damage or affect the performance in any way. Overall, they all like the fact that the shoes have good traction, perfect cushioning, and ideal weight. The looks are also top notch, making the fashionistas in them very happy. You will feel that you are wearing fashion rather that purpose – when in fact you will be wearing both of them. Once more, the cushioning is our favorite thing about these shoes. Because of that, there will be no need to break them in. They may feel a bit unnatural for the first couple of minutes, but like every pair of shoes, they will eventually take the shape of your foot. The weight is also perfect. They’re very light, considering how much cushioning went into them. Thanks to that, our feet will have full support from every side. Last but not least, the looks are exquisite. They’re fashion-forward, and they can also be worn on a daily basis – even if you do not plan to go on the tennis court that day. There is not very much to dislike about these tennis shoes. There were some women who reported that they offer little arch support; however, they also said that if you add a pair of insoles, the problem will be fixed. Depending on the model that you want to purchase, these shoes run between a little under $90 and over $130. If you buy them from Amazon, you will most likely get a deal that is cheaper than the price on the producer’s website. Furthermore, if you get the size wrong, some models will be allowed a free return and you can get the one that is right for you. You can buy them only within the US, as they are not eligible for international shipping. However, you have a half-a-year guarantee – which you will most likely not even need. If you purchase them at the right time, you also have all the chances of getting a discount. Amazon releases coupon codes every now and again, which will cut the price. Overall, this pair of tennis shoes is highly recommended for women looking for both style and comfort. A professional player will not overlook them because they are as lightweight as they can get. Plus, they have great traction and superior comfort again. You won’t slip at the first sign of dew or rain, and you won’t feel any shock in your legs every time you jump on a concrete ground. They are perfect, no matter if you are a baseline player or a serve and volley one. This model is a great update from the previous models, and we highly recommend that you try them out.